The Constitution as Social Design focuses on gender and civic membership in American constitutional politics from the adoption of the Nineteenth Amendment through Second Wave Feminism. This is a book about gender politics and constitutional development, and about what each of these can tell us about the other. It considers the options and choices faced by women’s rights activists in the United States as they have voiced their claims for civic inclusion and it makes evident what the limits of liberal citizenship are for women. 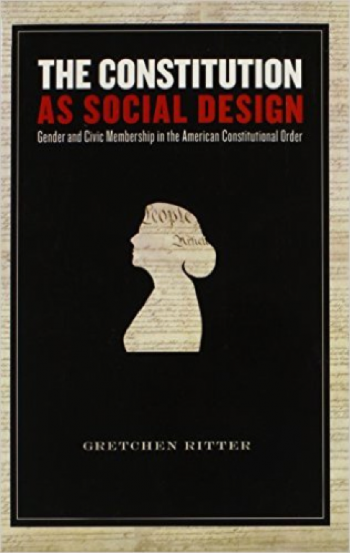 Ritter successfully argues that seeing the constitution as social design rather than merely a charer for rights allows us to reinterpret the meaning of citizenship. This book is a significant contribution to gender studies, constitutional history, and U.S. political development.